Earlier this year, we partnered with the Detroit Historical Society and the Detroit Historical Museum in an exhibit and contest! We handpicked 25 colors that we thought best represented Detroit and its history. We pulled colors from the Belle Isle Aquarium, Book Tower, Detroit Athletic Club, Packard plant, and Fisher Building, as well as countless other buildings from downtown. We wanted these colors to serve as a visual representation of Detroit’s rich history of innovation. Everyone who entered a winning name is receiving a $50 gift card for Motor City Paint, redeemable at one of our area stores or online. In addition, Brian Ambrozy from Detroit and Beth Cox from Livonia will be receiving our grand prizes — a professional paint job valued at $1,000! Are you ready to try a new color in your home? Join our “Color Club” today and get one (1) free pint-size Motor City Paint sample to audition for your next project. 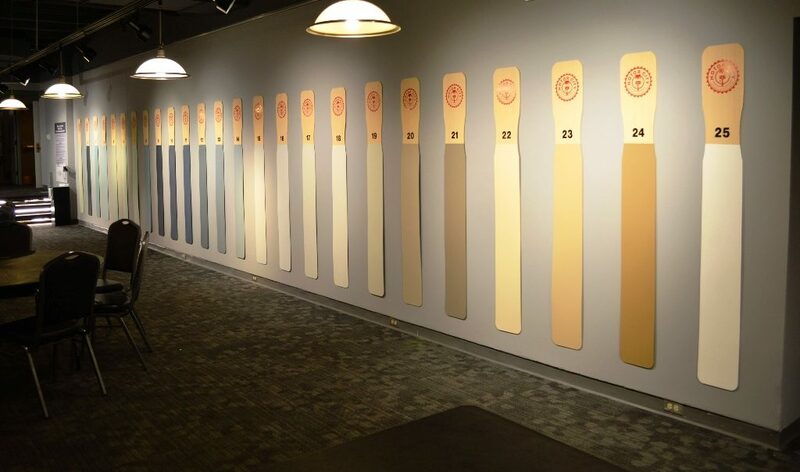 It’s the perfect way to find the ideal color for your next project.